Let's Hope for "Peace" with our Souls. A New Year, 2012, has begun. We received lots of new year cards appealing the fear of atomic power plants. We could hear the voices of our friends that cried out for help. They could feel the fear of the nuclear energy after the dreadful earthquake and tsunami which caused the catastrophe at the nuclear power plants in Fukushima. They were in agony for they knew how dangeorus to live in Japan surrounded by those nuclear energy. They, however, felt powerless and seemed to get lost what they should do. We had felt the same agony and had also sought what to do. We identify ourselves as artists who want peace more than anything. 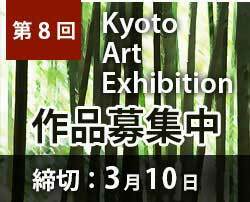 We have decided to set up an organization called “Kyoto Art Exibition” to represent all those voices through art. We, the planner, are Keichou Lee, Naoko Morita in Osaka and Chikako Miyosawa in Kanagawa. We hope “Peace” and this peace is based on anti-nuclear, antiwar and anti nuclear energy. We are the artists who just want everybody to live peacefully. We would like to show many people the works created by the artists who desire peace in our daily lives so that the visitors would sence their wishes and hopefully emphathize with them. We are planning to have the exibition at least once a year and through the exibition we’d like to get more associates. 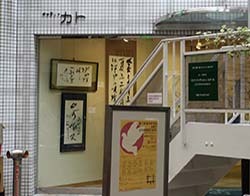 We have chosen ancient Kyoto to hold the exhibition. We believe Kyoto is the most appropriate place for our purpose because it used to be a capital of Japan for more than 1000 years and is still lively and attractive to not only Japanese but foreigners. Several monthes ago Morita read an article of the Asahi Shimbun about Hetty Bower and she felt very much encouraged. The headline said, ”A 106-year-old woman has been campaigning anti-war and sexual equality for 80 years.” We are now in our seventies. We will keep our action, holding the exhibition. It may be a small step but for our children and grand children, we must go forward. Let’s keep hoping for peace with our souls. copyrights © KYOTO ART EXHIBITION All Rights Reserved.